Here is my DT sample for the PanPastel UK challenge this week. 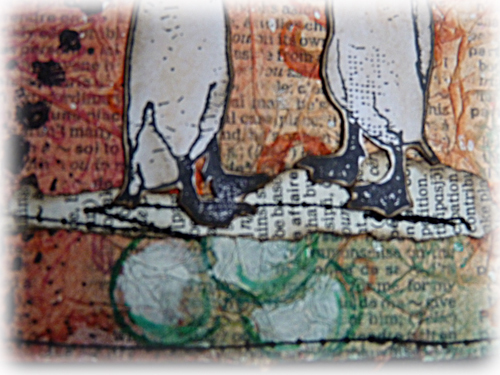 The background was made by covering the tag with text paper, tearing some of it off when dry, then adhering scrumpled peach coloured tissue paper over the top. I set about applying PanPastels in a variety of ways through masks, with and without embossing ink for it to stick to, stamping with the ink and applying the colour with a sofft tool and just shading areas using a sponge. I used pens and paints to highlight and add dimension. I splattered watered white acrylic paint and used a white pen to highlight areas. I also shaded the ducks in with pans too. This was alot of fun. I hope you will share your nature projects with us this week and who knows you might be the lucky recipient of a set of pans if you win, courtesy of 'Your Creativity Store'. Have fun experimenting and playing this week. Oh I love your geese tag its brilliant. Hi Brenda...lovely techniques and aren't the geese gorgeous! I love what you have done with this image here. lovely tag, love the stamp you used! Just wonderful, thanks for the smile on my face. 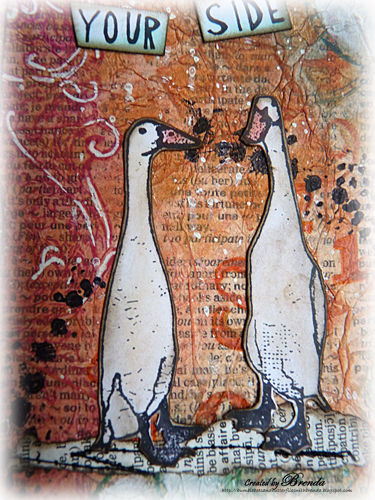 Fantastic tag and background, I love these geese. Aww, how sweet is this? Your BG came out amazing and the geese image is just wonderful. Love it! gorgeous project Brenda...love those ducks! 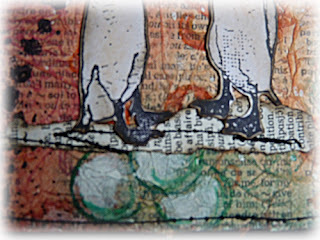 Hi Brenda, Fabulous background on your tag and I love the image. I love it! it´s fantastic Brenda! Glorious multi media effects from the pens and paints over that fabulous background (love the text and the blots and the colours and the stencilling - so, the entire background, basically!)... 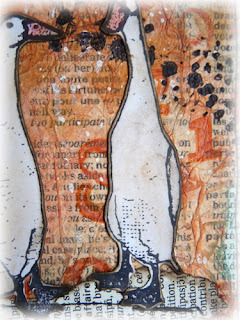 Love what you're creating with these stamps, Brenda! Totally loving your mix of pans and paints! I really love how you've done all your shading. What a delightful tag, Brenda, and such pretty techniques with the pastels. Love this! So adorable! Cute cute cute! Ich liebe diese Lauf-Enten, sie sind so süß. Und du hast sie klasse in Szene gesetzt.